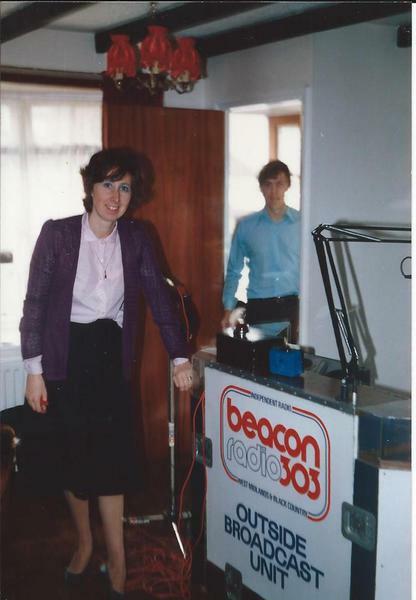 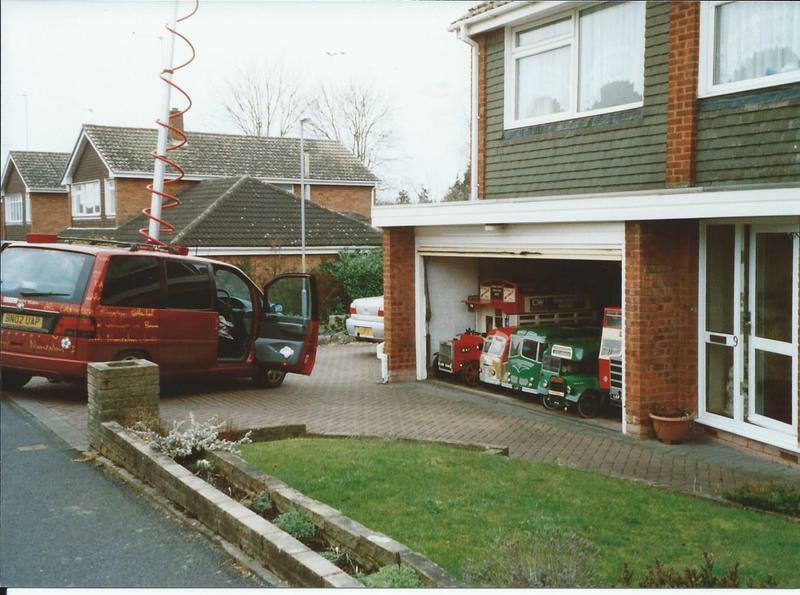 Geoff has been on hundreds of radio programmes and stations across the UK over the years talking about his models and collecting and Beacon Radio, BBC Radio Birmingham and also BBC Radio WM have broadcast programmes live from his home. 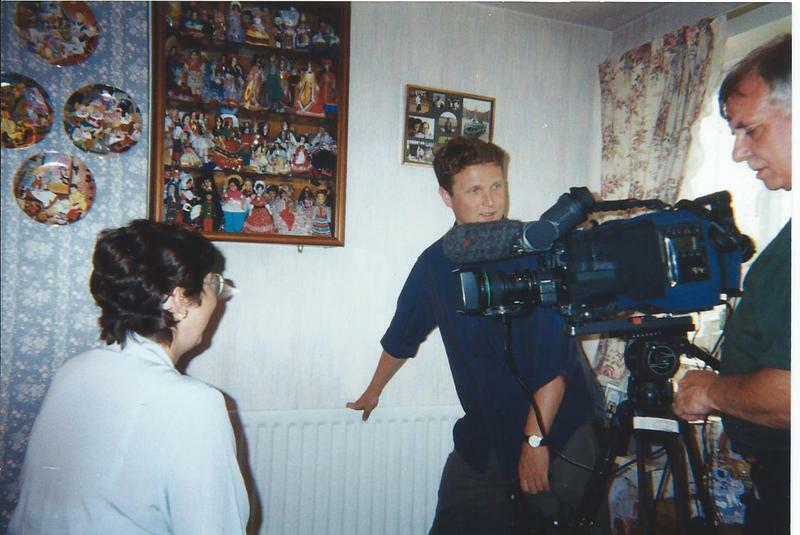 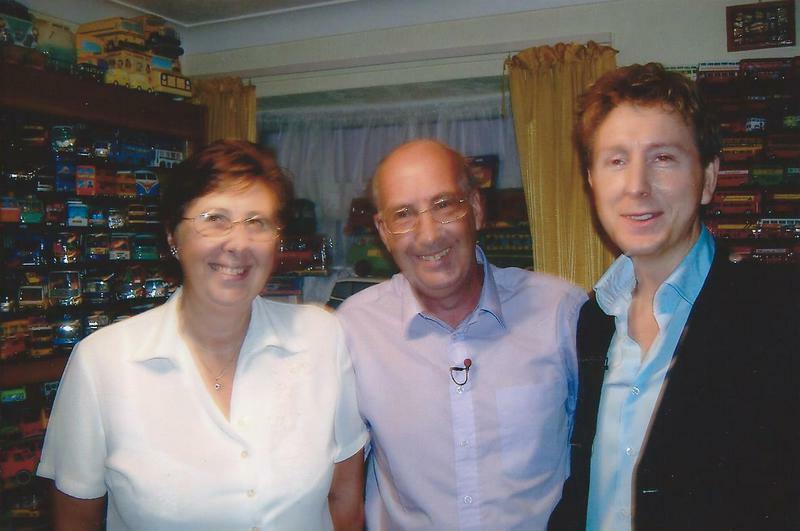 Since being on Live This Morning in September 2003 when he received his first Guinness World Record Certificate, Geoff has appeared extensively worldwide on TV programmes including: on GMTV Live from our house on 23 October 2007 and live again on This Morning 7th January 2008. 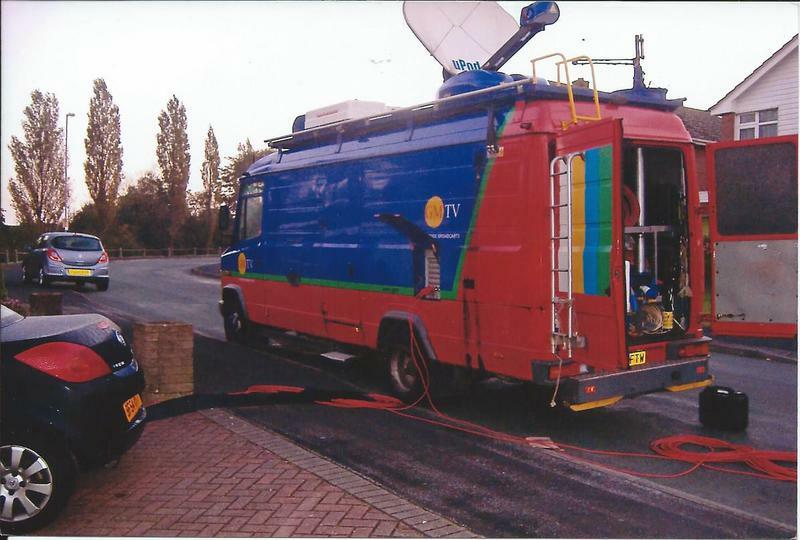 Following this we have been on numerous TV programmes Worldwide. 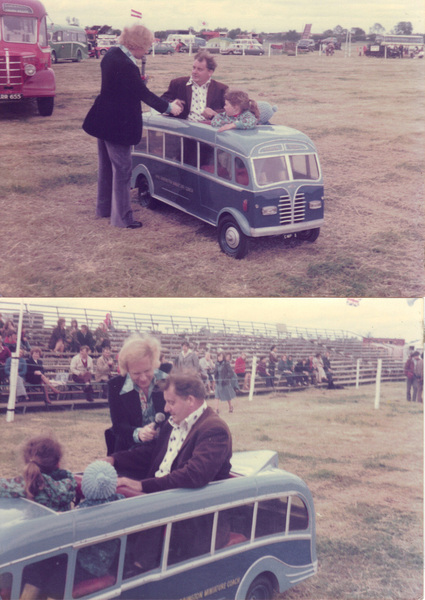 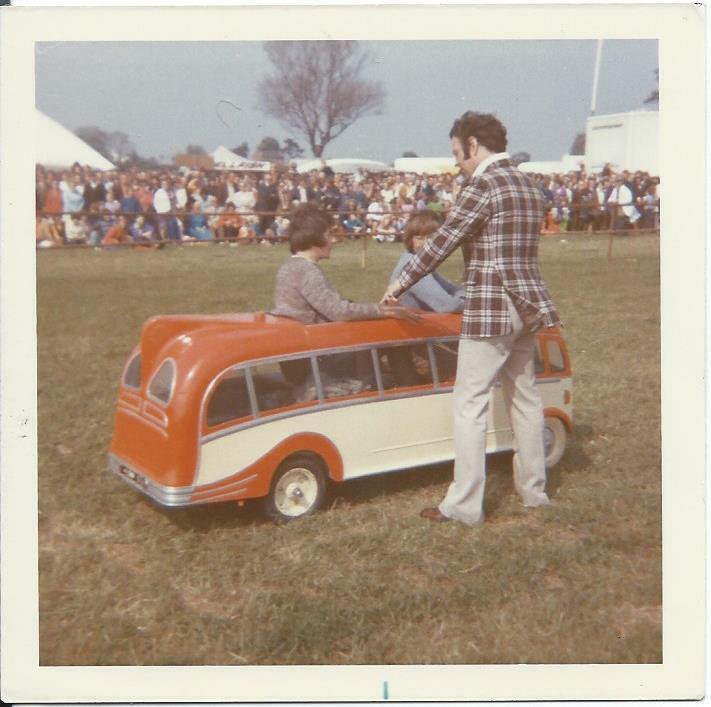 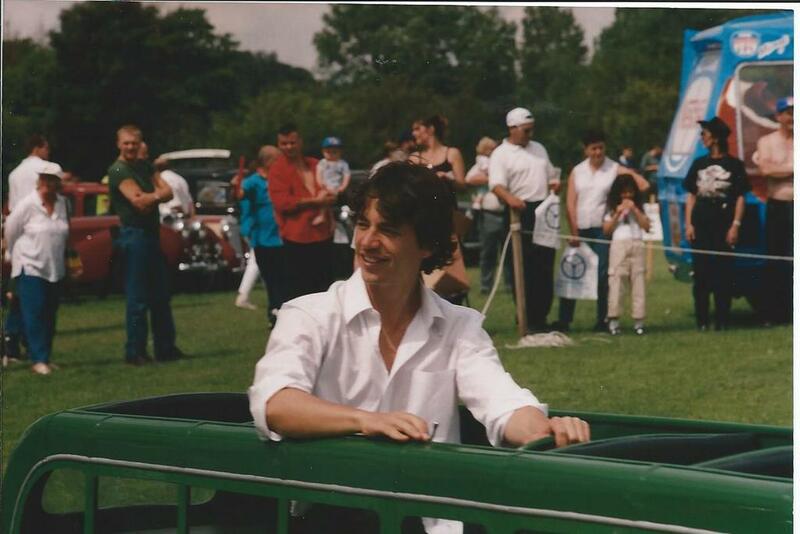 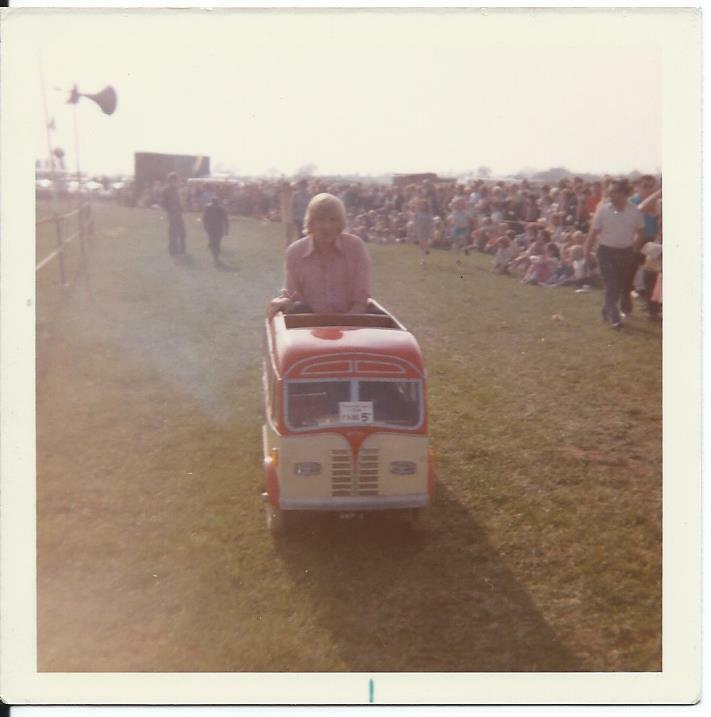 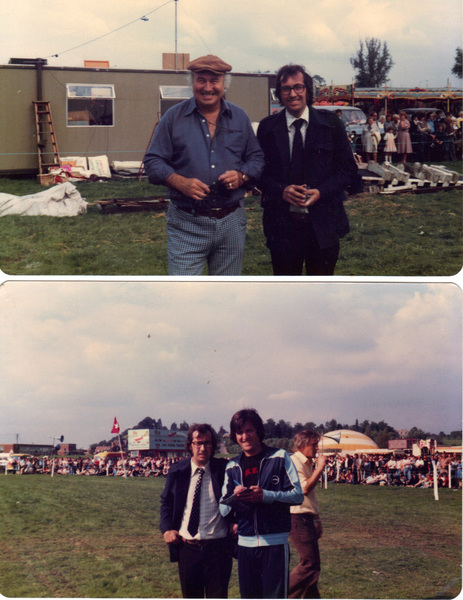 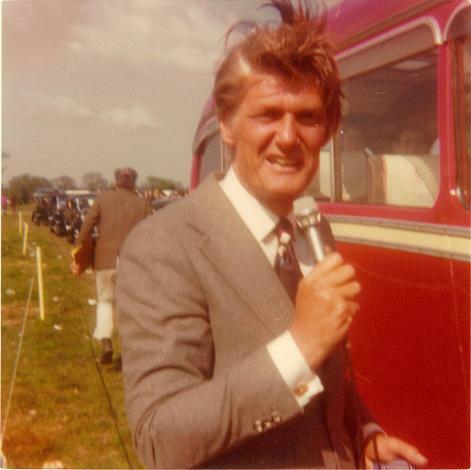 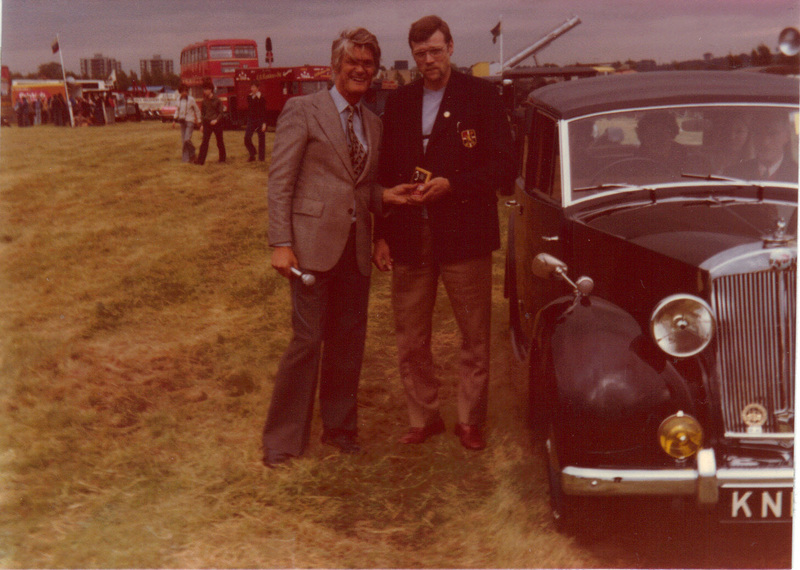 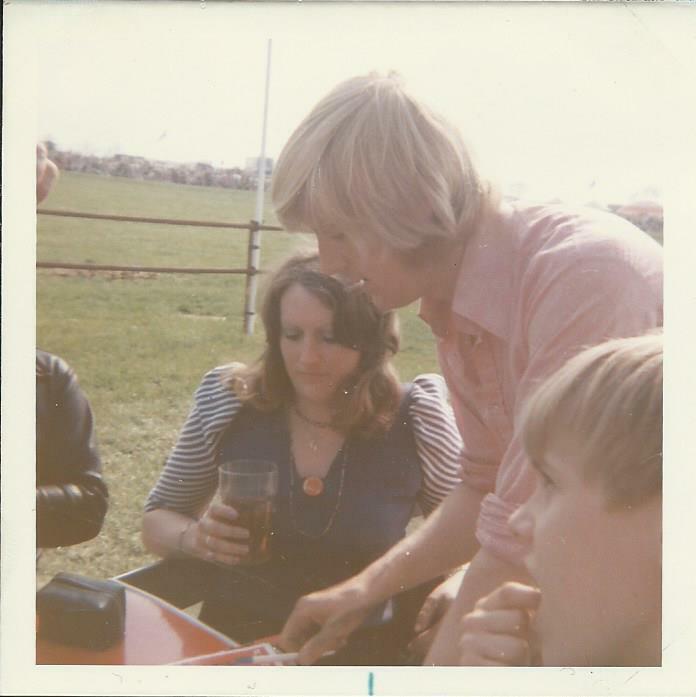 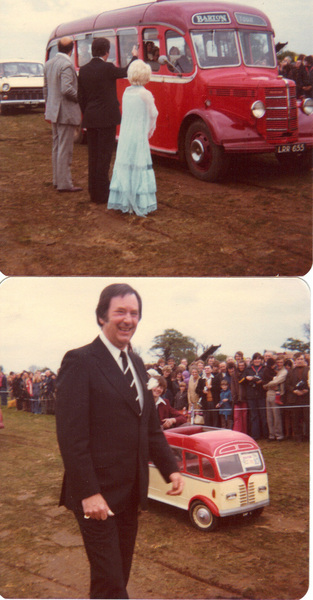 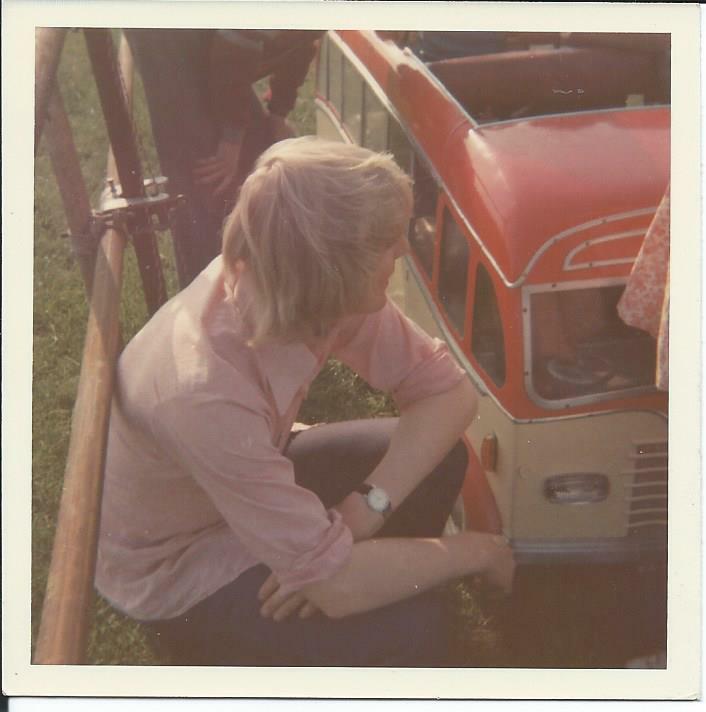 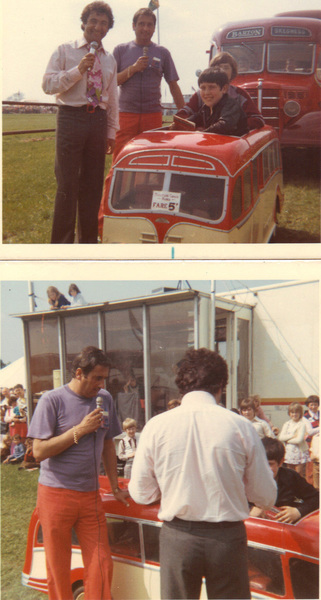 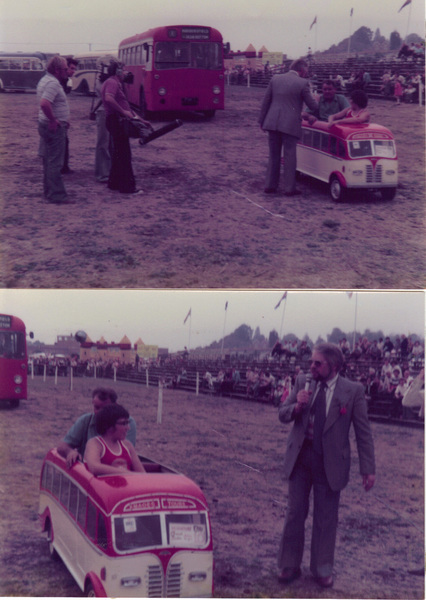 Celebrity Clips taken at early shows organised by Joe Weston-Webb (Leicester) assisted by Geoff Price who organised the vehicle sections and brought along his miniature coach and 1950 Bedford OB Touring Coach to the events. 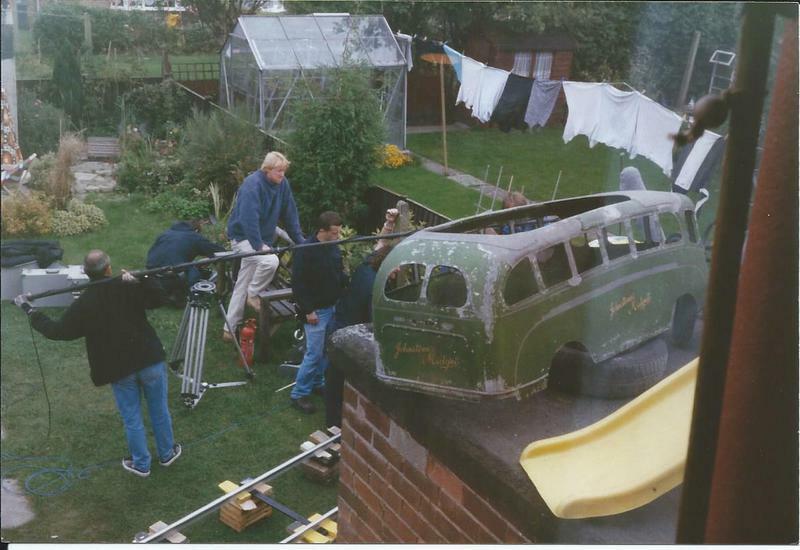 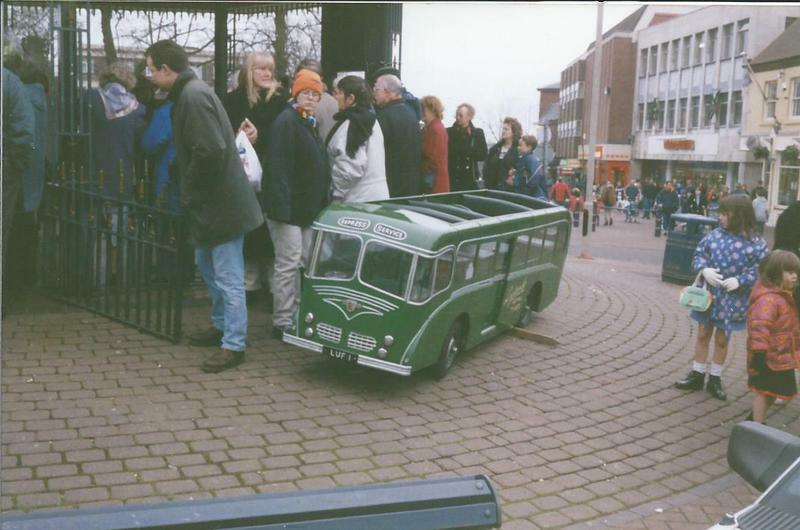 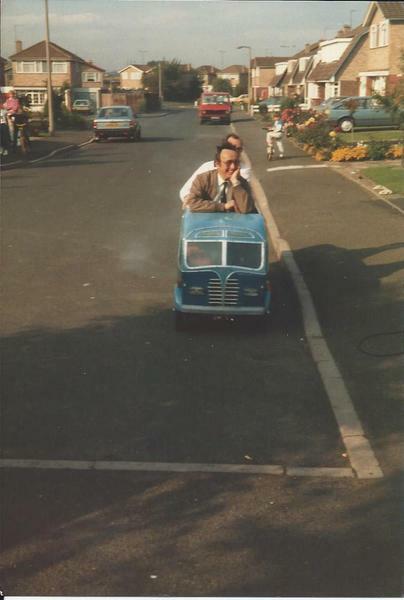 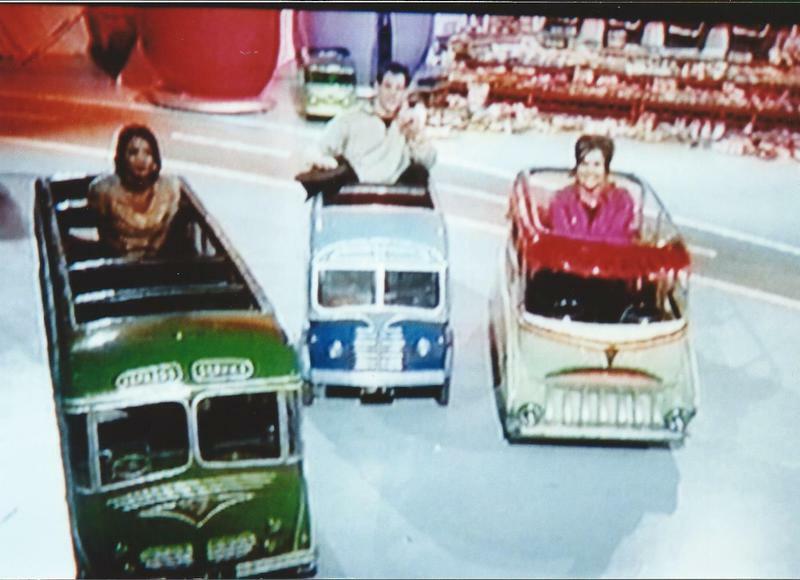 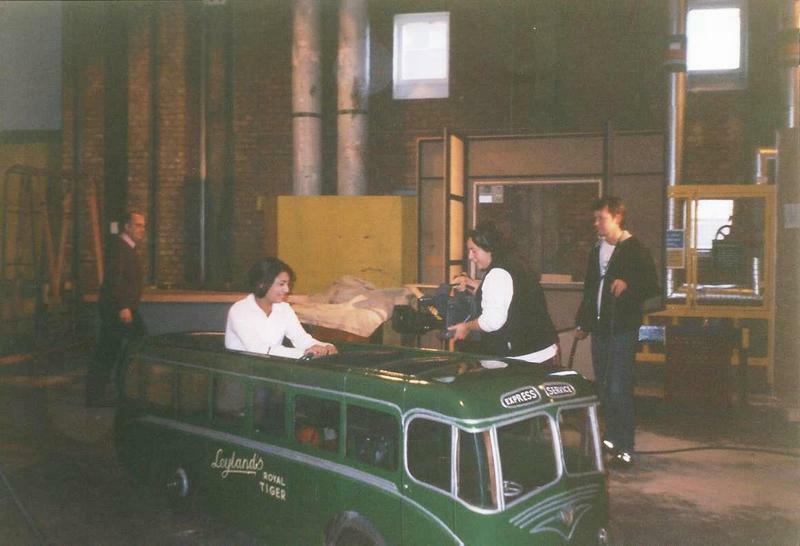 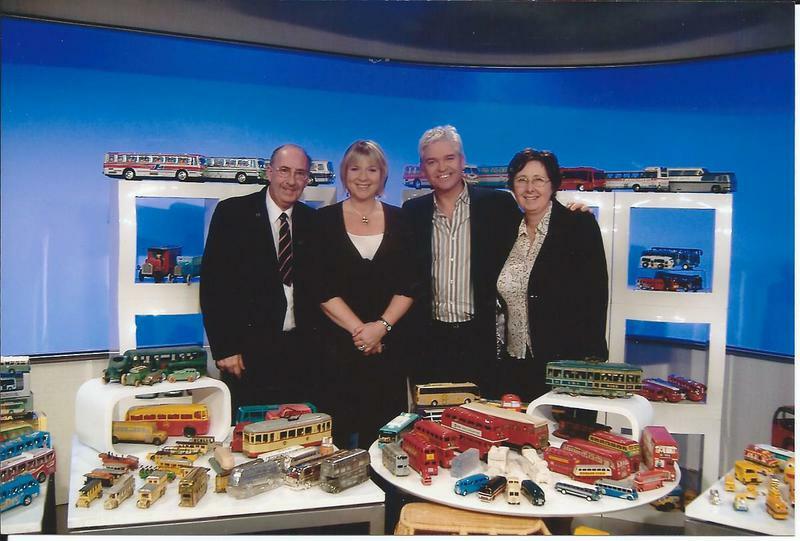 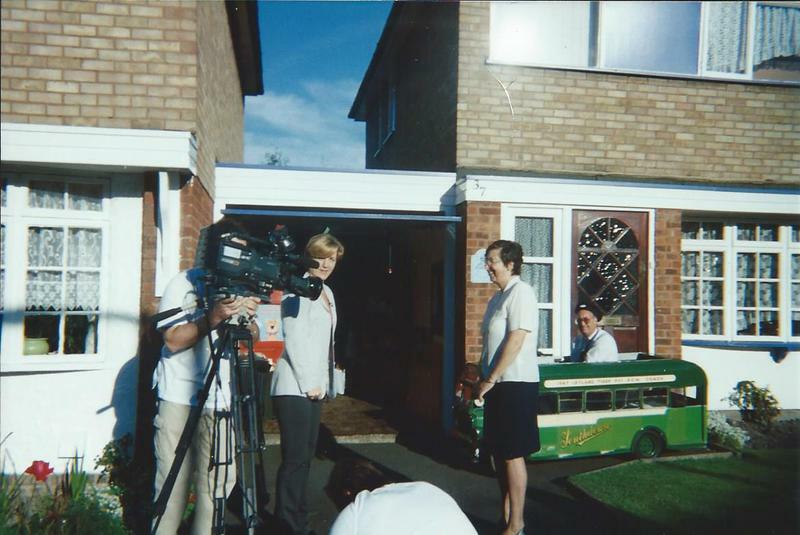 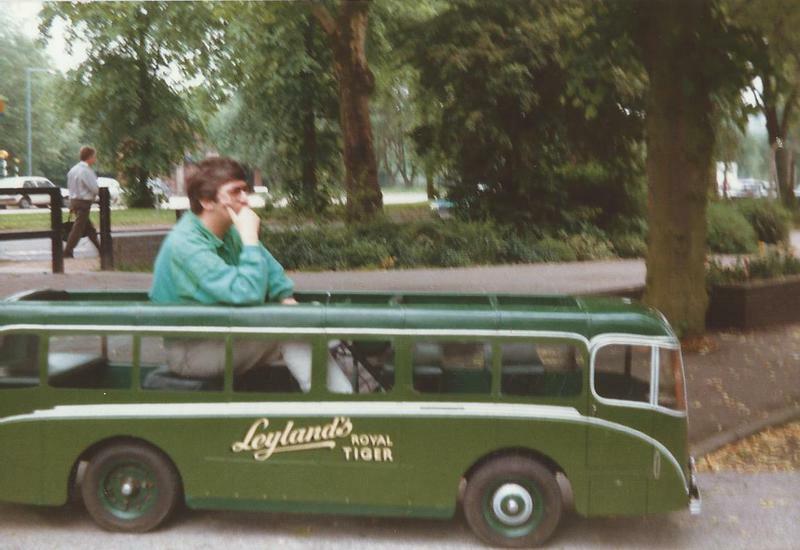 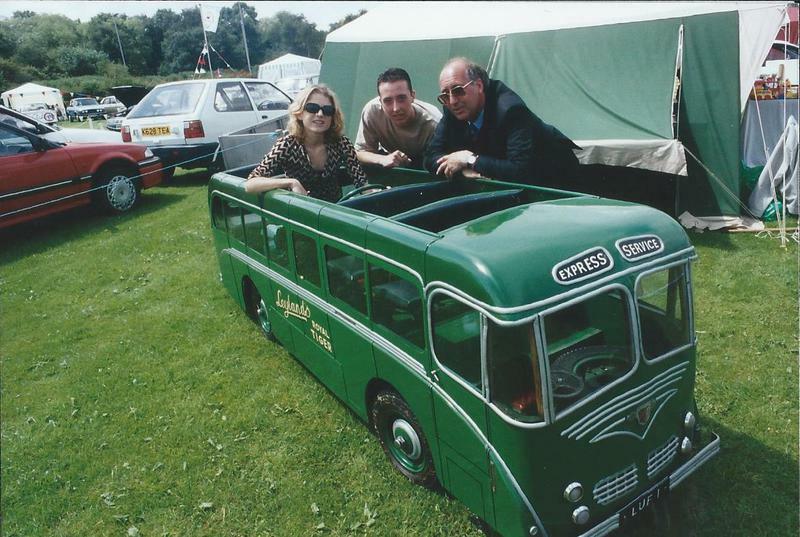 Memories of happier times when Geoff and Linda were invited to be on Noel's Addicts with their 1951 Leyland Royal Tiger Miniature Coach along with part of their model collection which was filmed at the BBC TV Studios at Pebble Mill, Birmingham in front of a live audience. 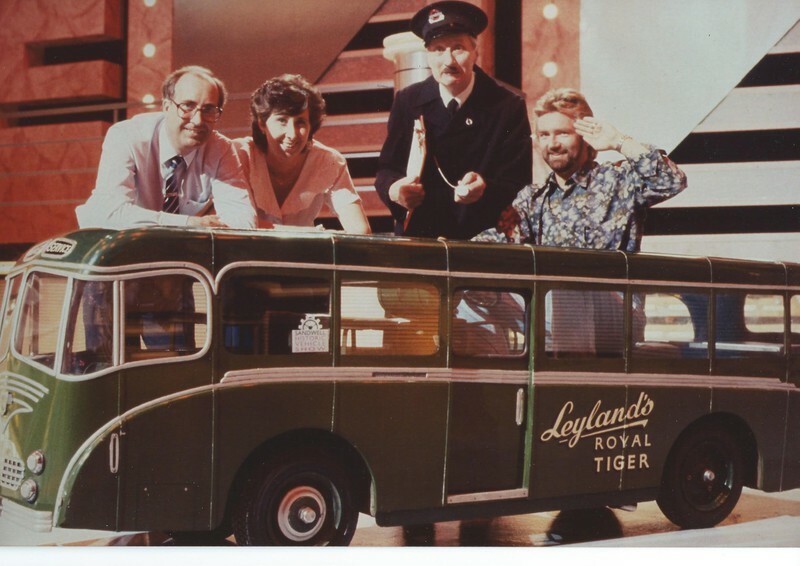 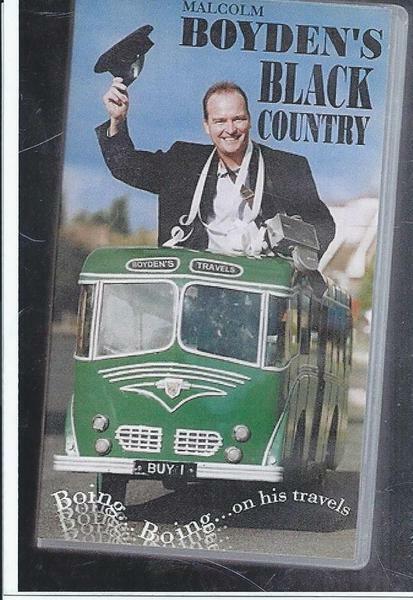 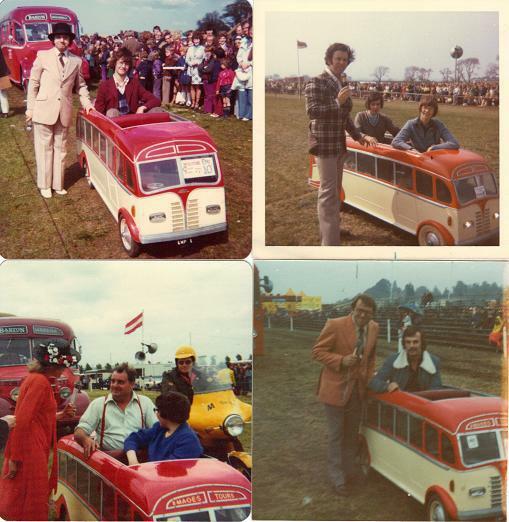 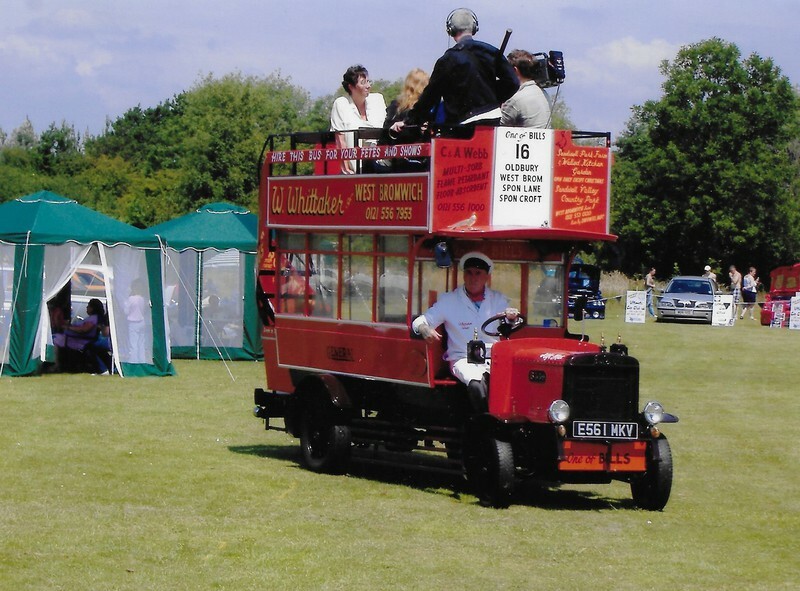 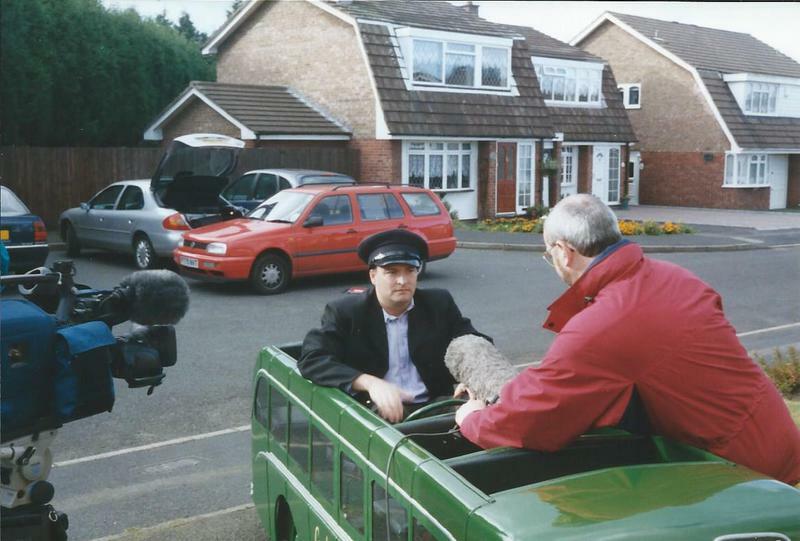 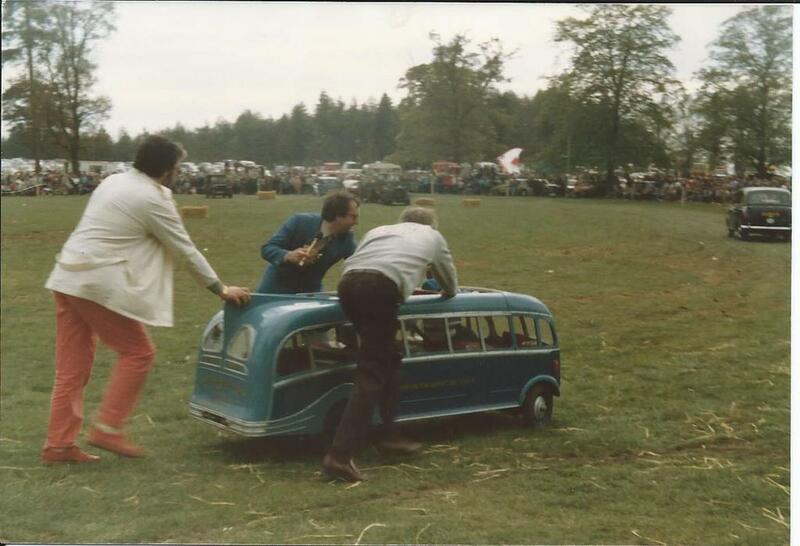 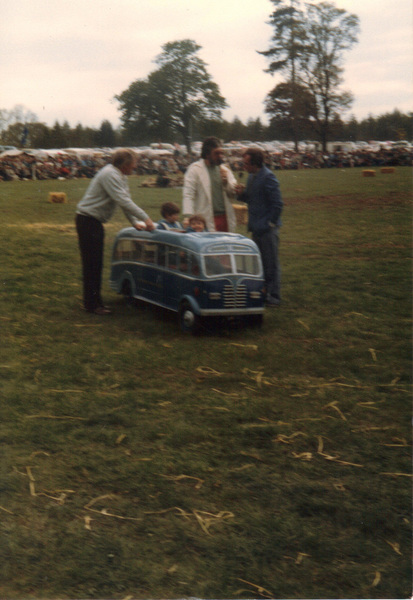 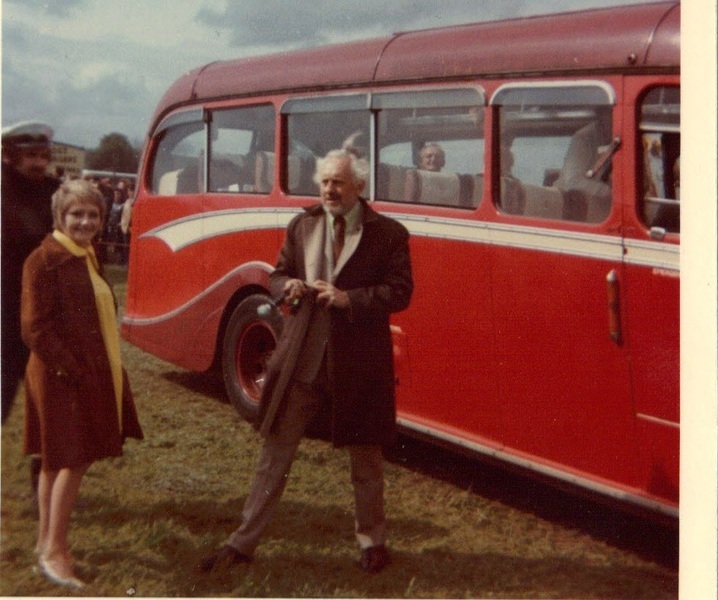 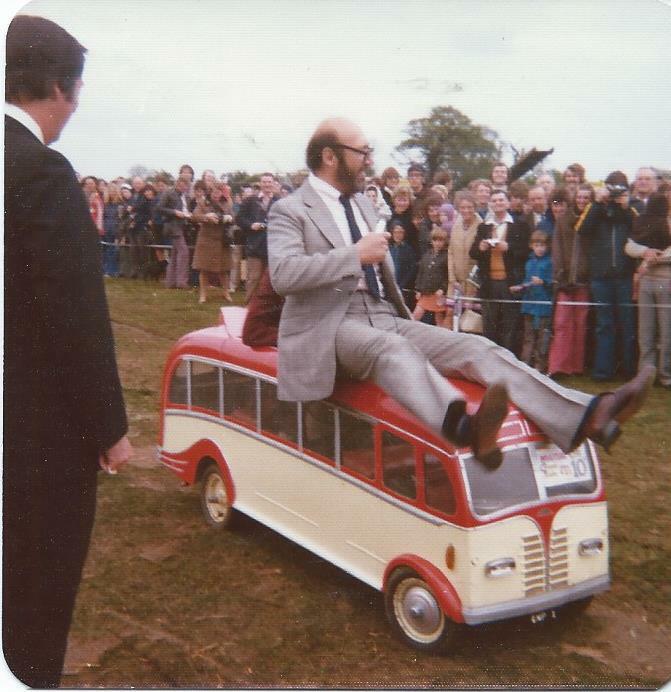 The programme started with Noel Edmonds driving on set in the miniature coach with Stephen Lewis aka "Blakey" from "On the Buses" asking him where he was going with this bus. 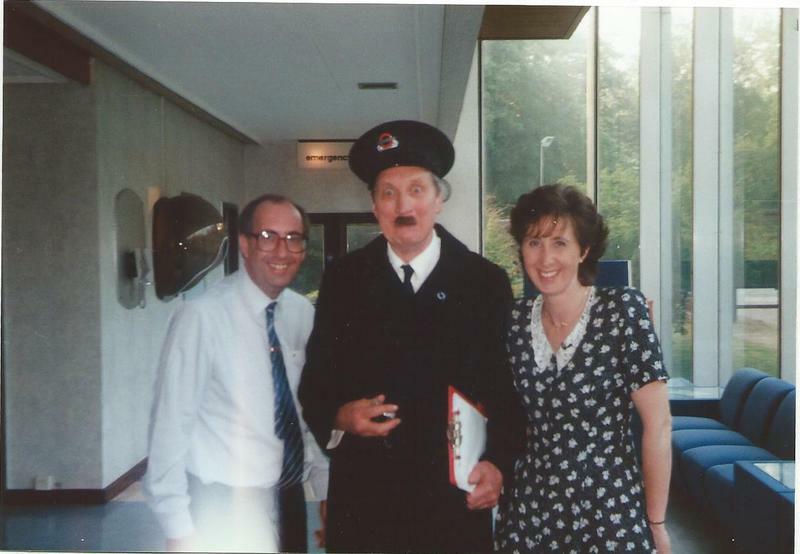 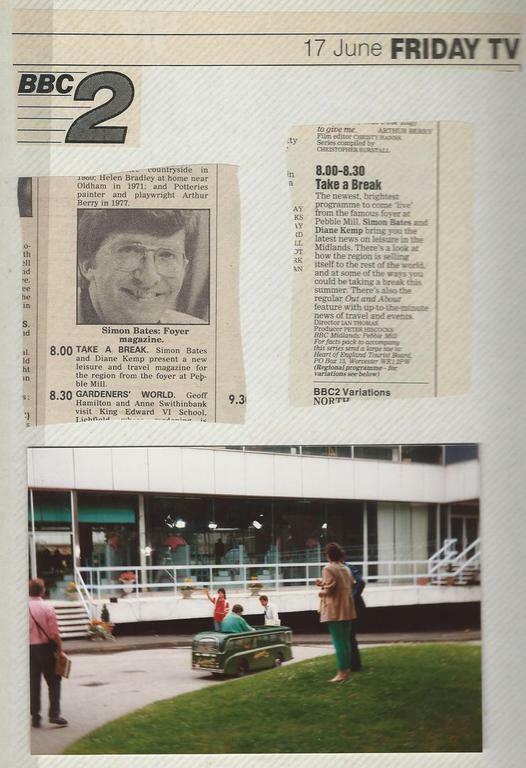 The programme went out on the 23rd June 1992 and it should be noted that sadly Stephen Lewis passed away on the 13th August 2015 aged 88 years. 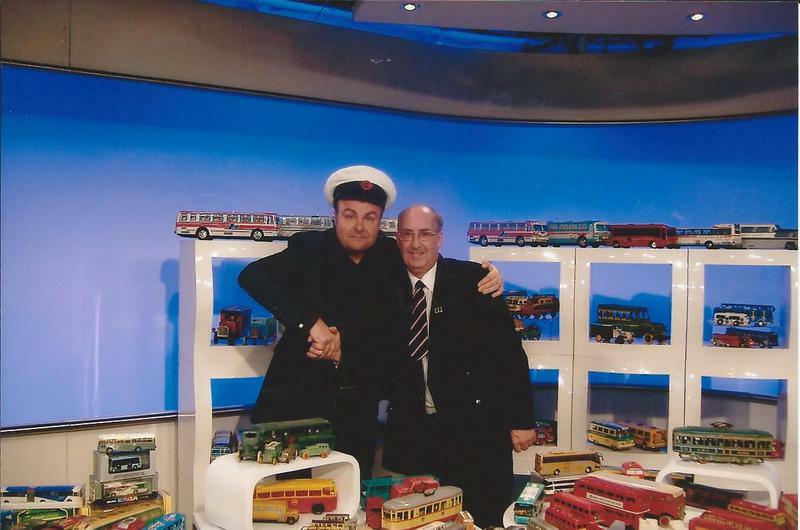 Most people will remember the On the Buses programmes and films. 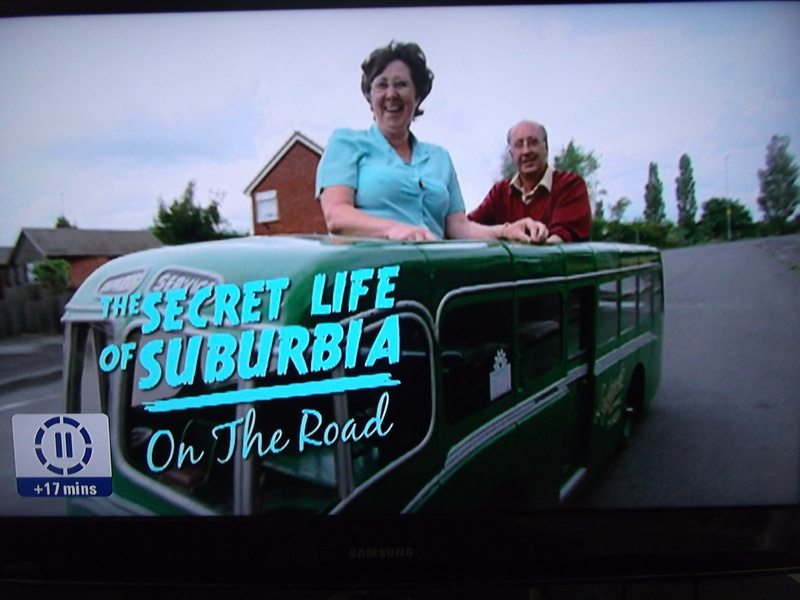 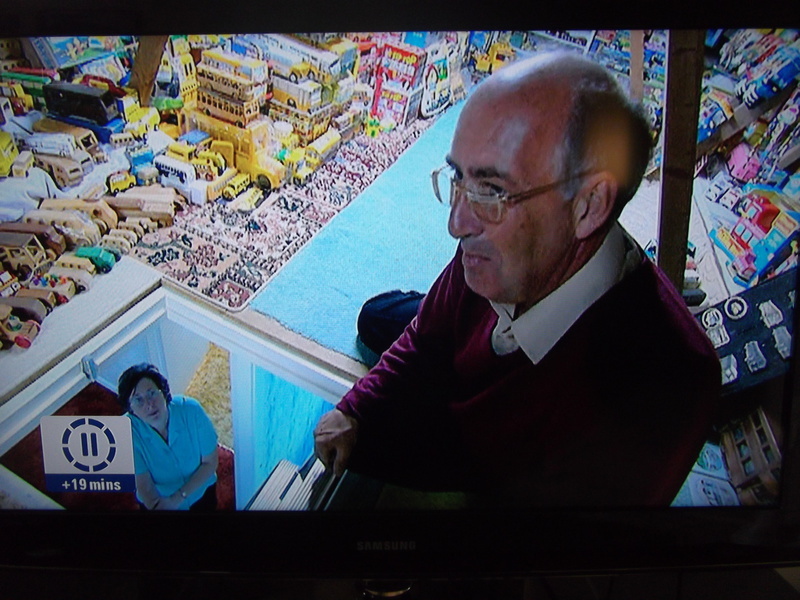 This documentary has been shown on numerous Sky TV channels - below is just a few stills taken from the programme. 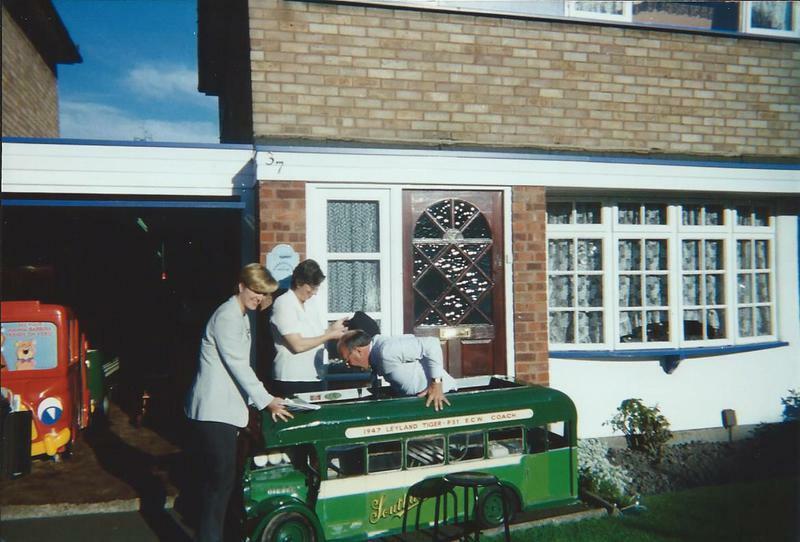 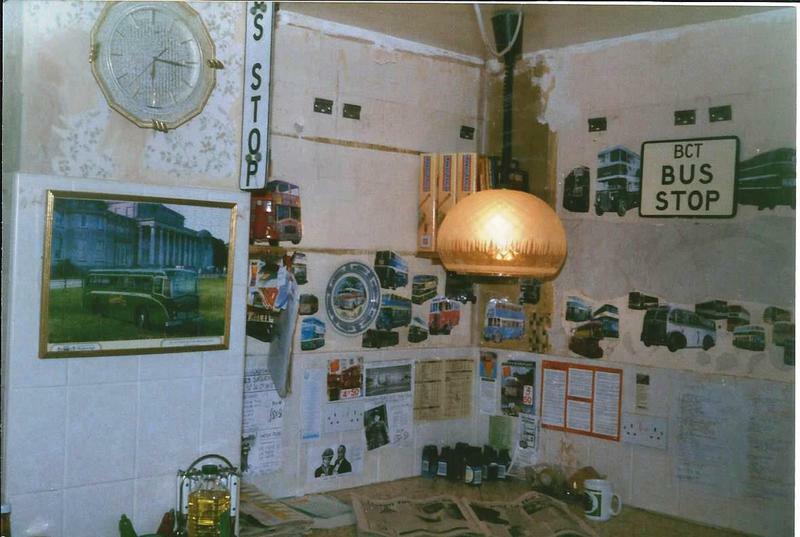 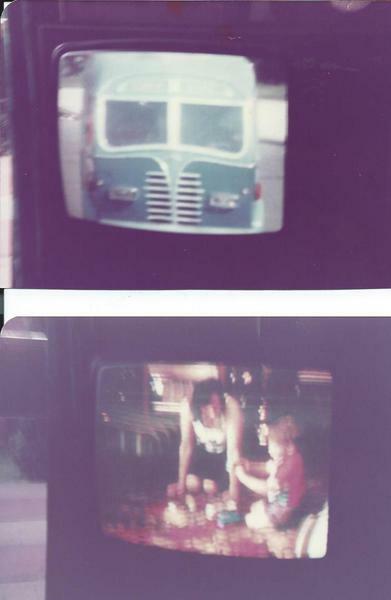 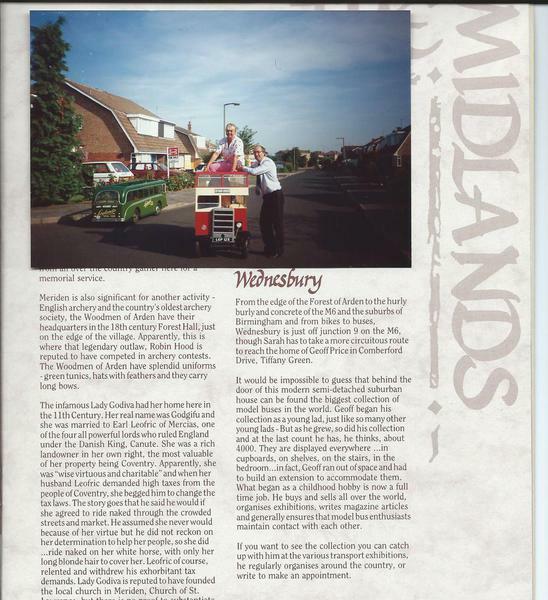 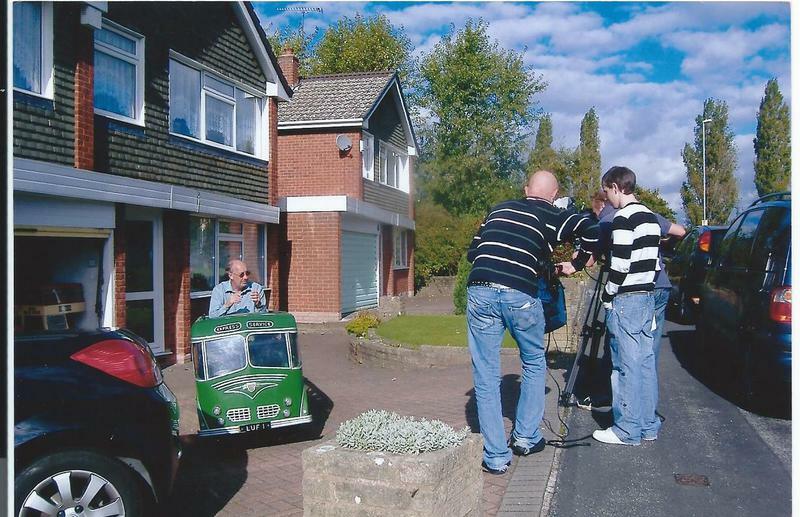 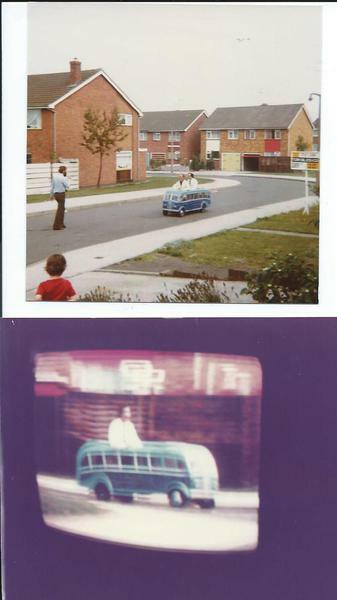 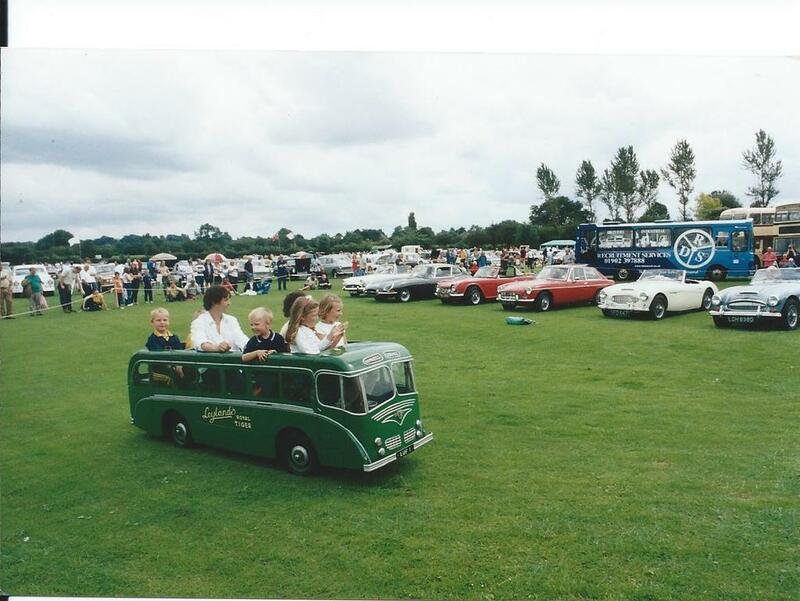 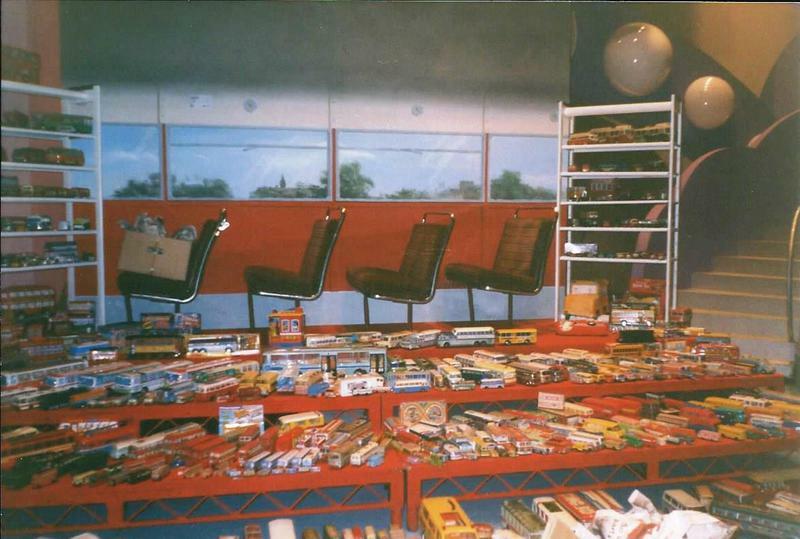 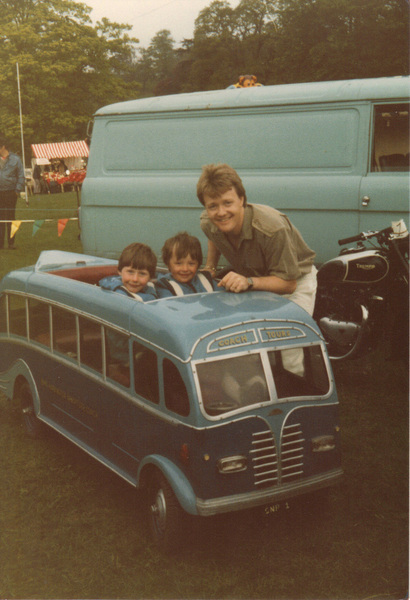 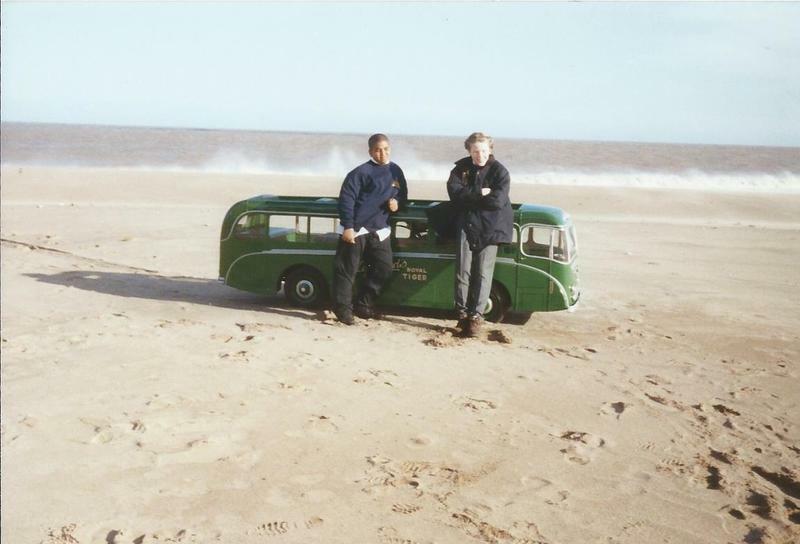 It features Geoff, Linda and boys at home with the model bus collection followed by their work life which showcases the Walsall Classic Car Show. 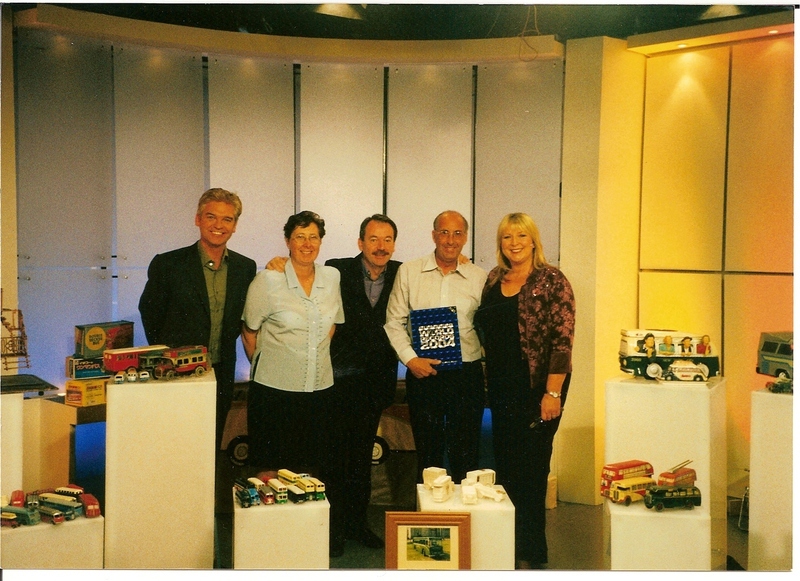 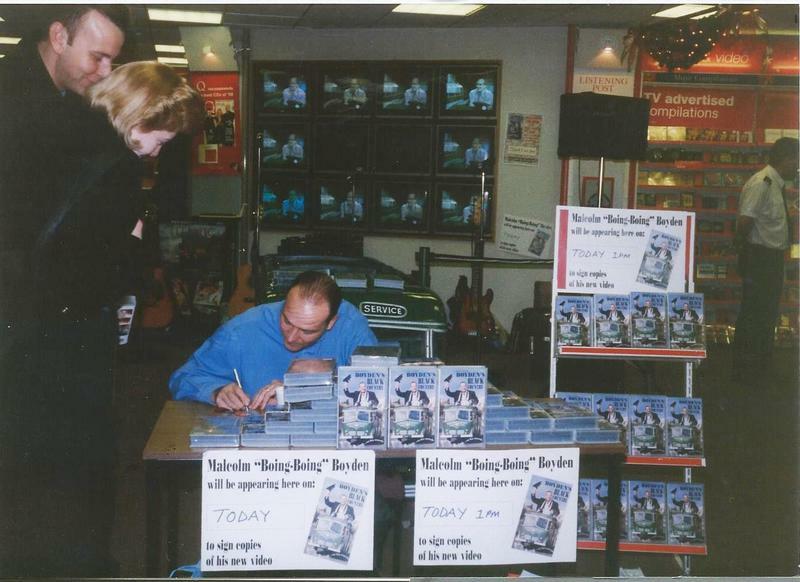 Over the years we have been involved with many fellow collectors worldwide. 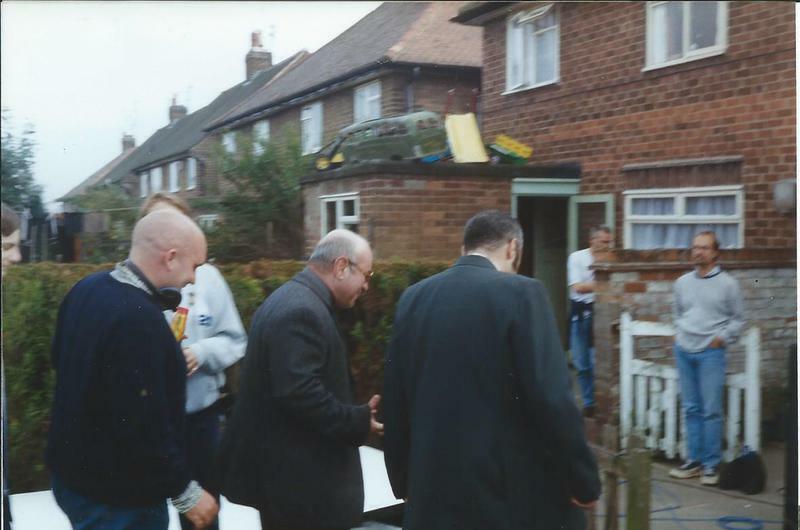 Exchanging both information and models with many, too numerous to mention. 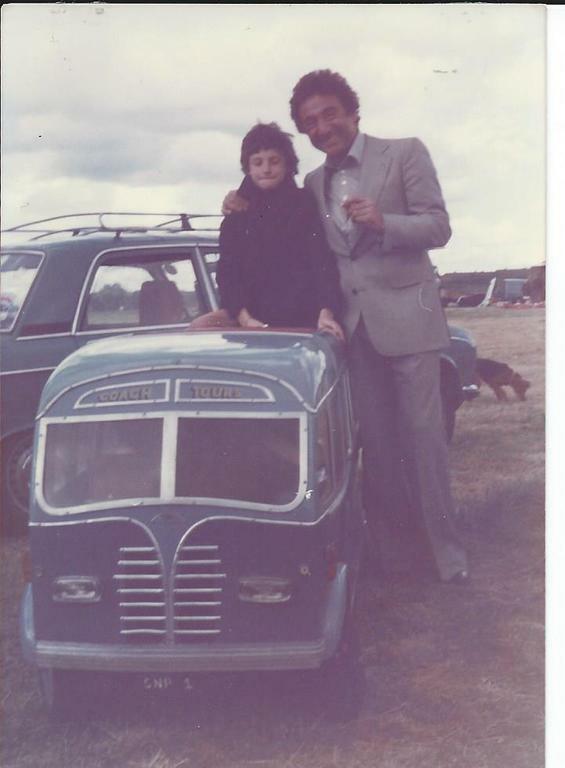 A few from our very early days are Roman Villaderars Curbello from Gran Canaria who we visited a number of times in the early 1980's and we obtained from him many spanish models as his collection was very limited to the models he could obtain on the island. 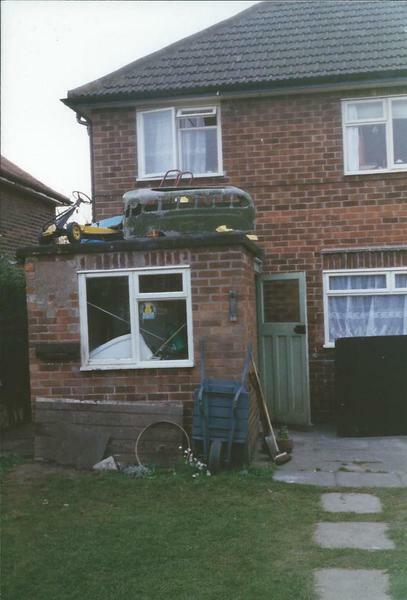 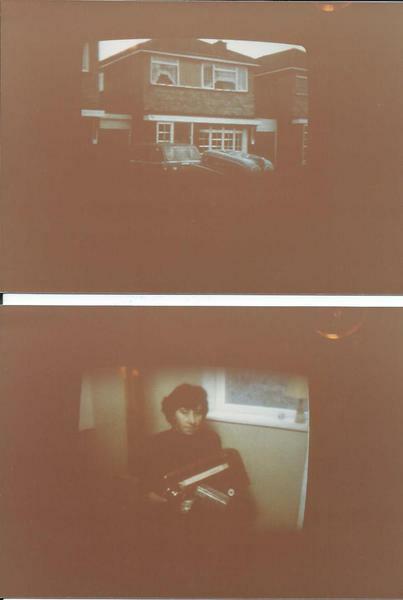 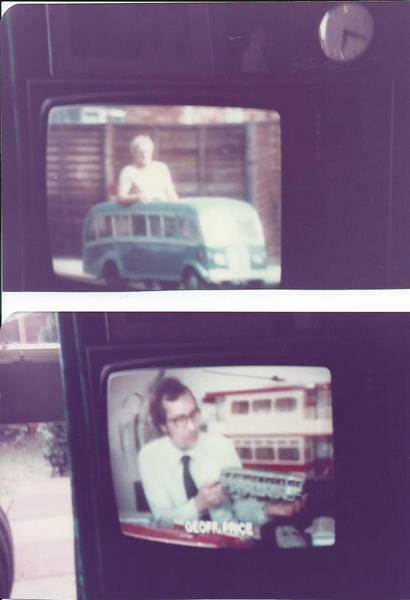 A friend who first visited our home in Tividale in the early 1980's whilst he was working for DAF Buses and we obtained many promotional items and models from him from countries that his work took him to including Pakistan, Germany, Denmark plus many others. 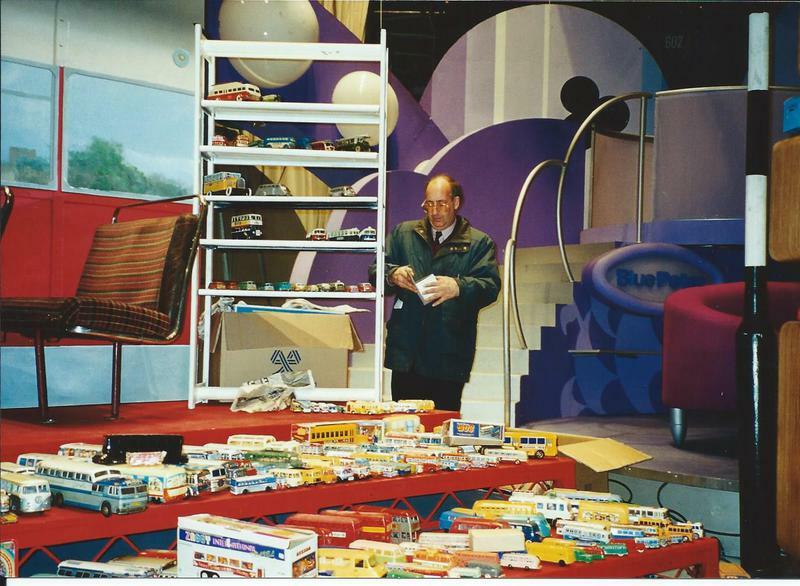 We had visited his home to see his collection in Holland on a number of occasions and in March 2003 he decided to trim his collection down and we then obtained many items for our collection from him. 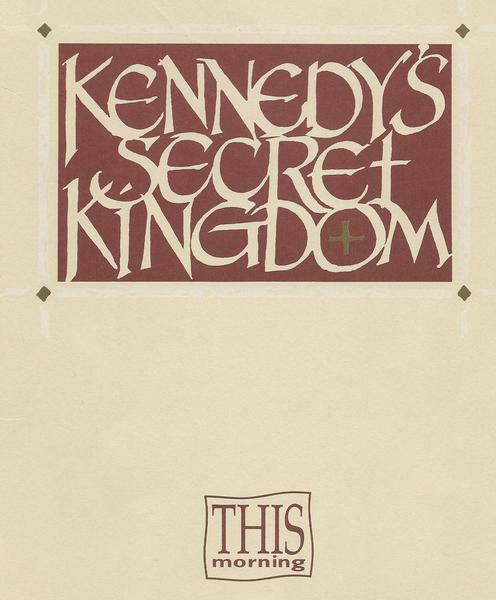 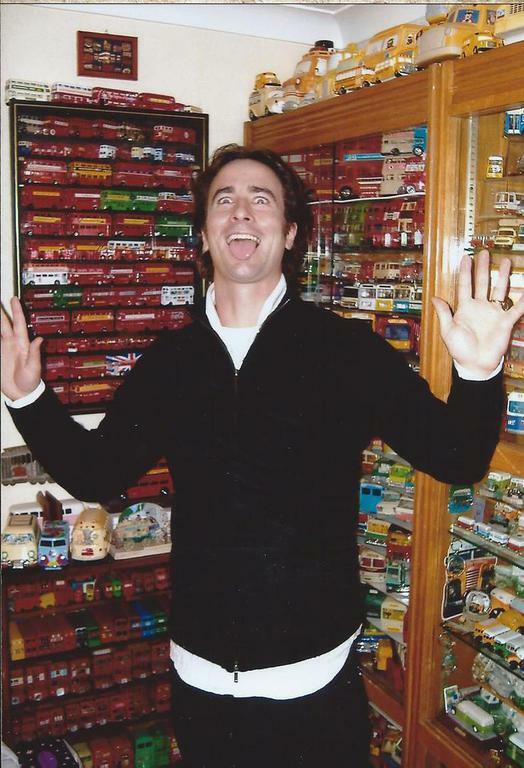 Geoff has been corresponding with American collectors for many years. 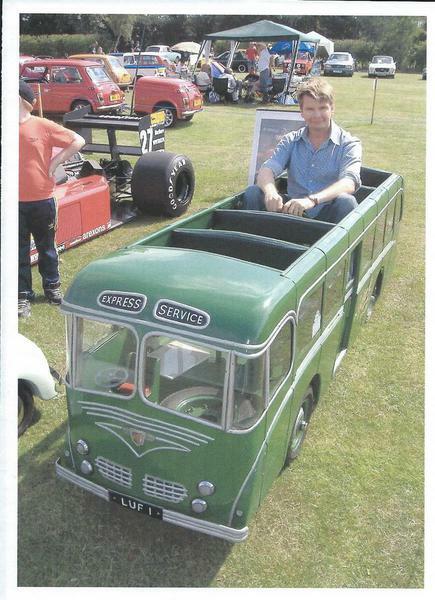 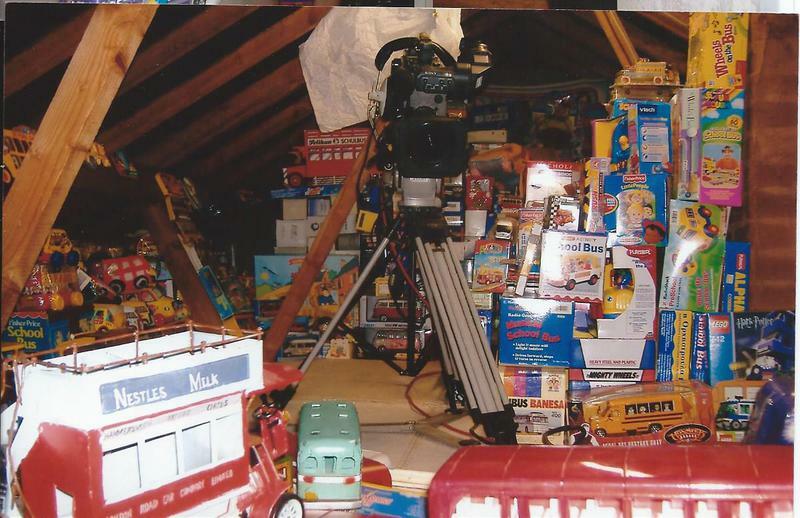 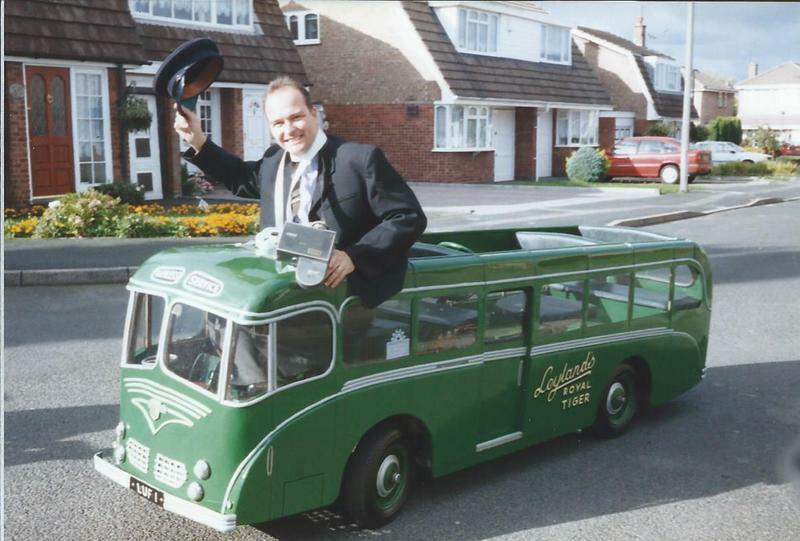 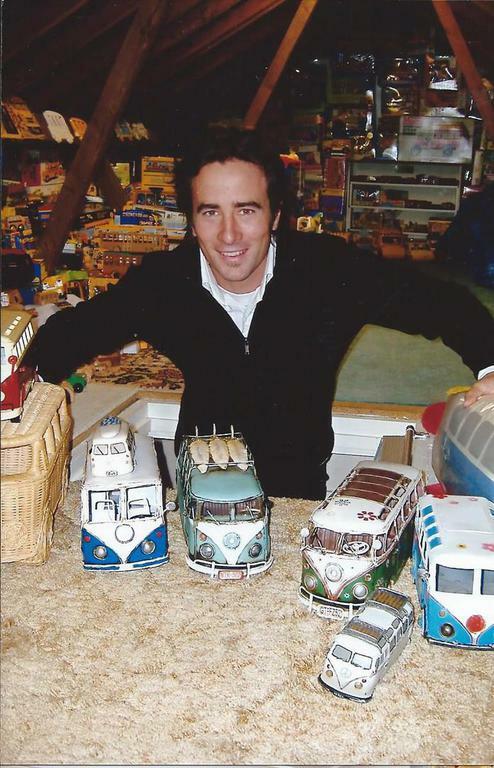 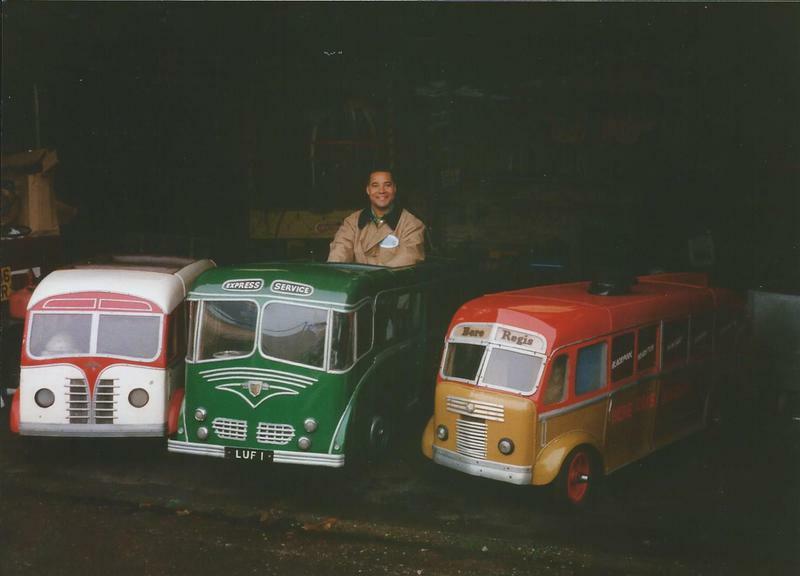 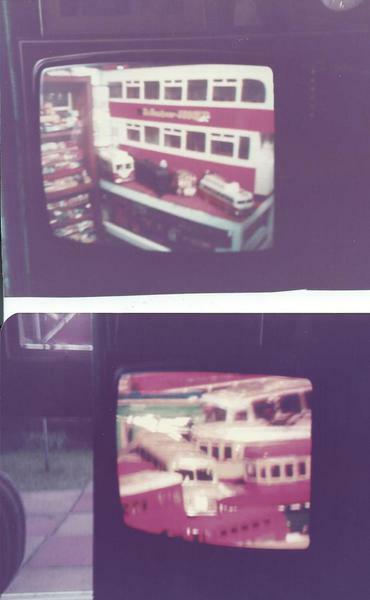 One of the earliest being Glenn Brown who still collects model buses today but in the mid 1990's sold numerous sections of his collection totalling some 1,917 items to Geoff including, plastic school buses, wooden buses, christmas decorations, card buses, ceramic buses, novelty buses, and San Francisco Trams in all shapes and sizes. 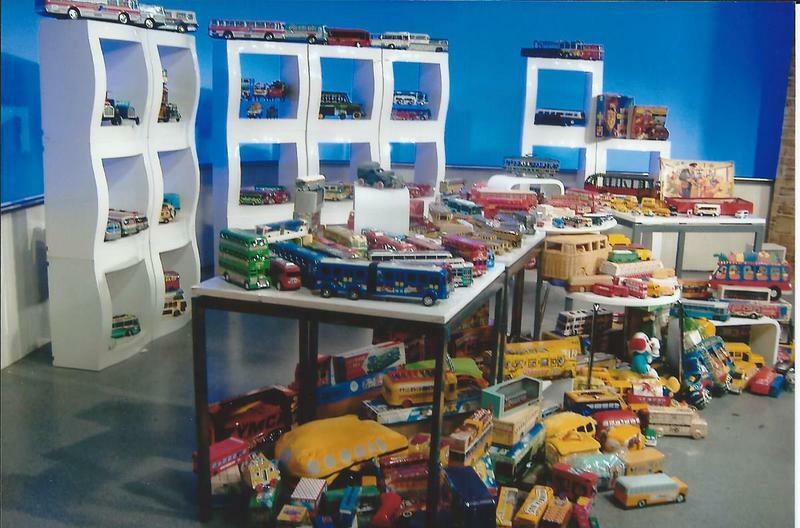 In November 2002 we were invited to view the superb collection of Paul Kantor who also lived in New York as he was going to dispose of it and wanted us to have the first opportunity to acquire models to add to our own collection. 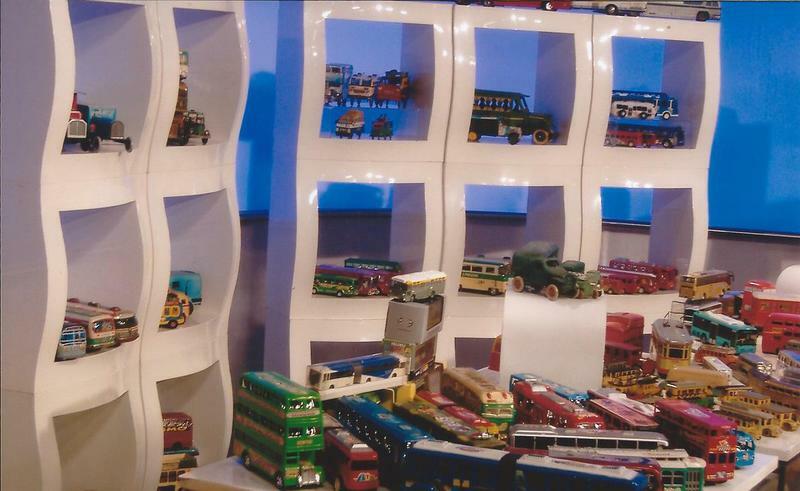 This was a privilege and his collection included many ceramic cookie jars, tinplate toys, plastic toys, money boxes, tins, cardboard models and unusual items all being bus related. 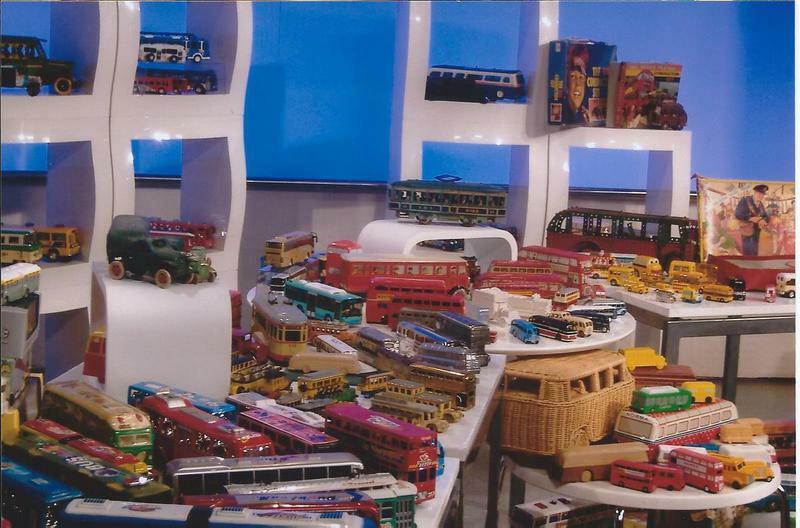 A total of 134 models were obtained and we managed to bring them all back with us on the plane with excess luggage/parcels. 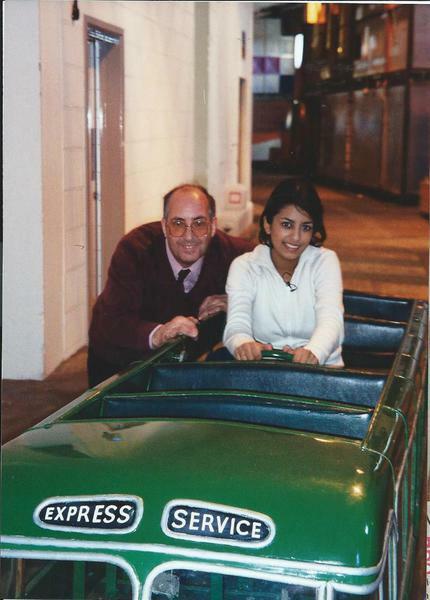 On this visit we met up with collector Joe Caronetti who lived in the Bronx and had the pleasure of visiting his collection. 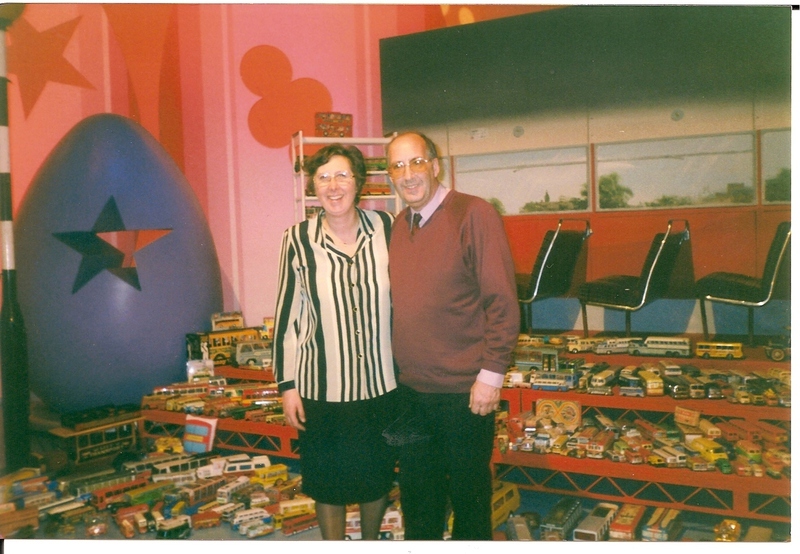 A lifetime friend we have known Peter and his wife Teresa since 1977 when we met him at the Toy & Train Exhibition at Solihull Civic Hall and the early days of the Gloucester Toy Fair and have since exchanged hundreds of models between ourselves and Peter was at the first Sandwell Historic Vehicle Parade and Show with his full size Bristol D/D Bus. 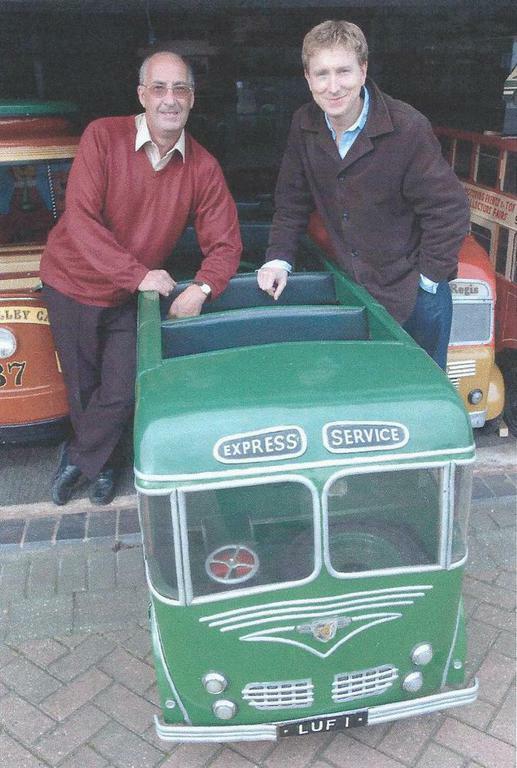 Recently Geoff has again obtained a number of items from Peter who is cutting down on his models to concentrate on his love of Bristol Tramways. 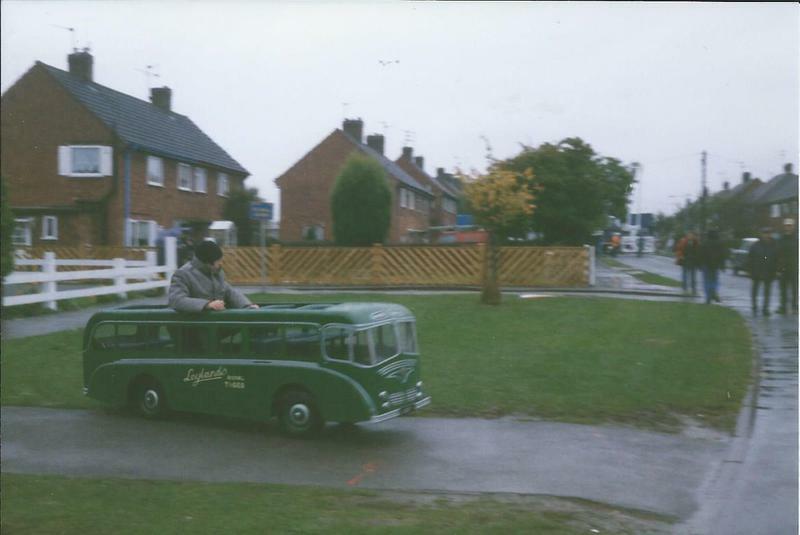 Former Coach operator Bill Whittaker of West Bromwich has been one of our closest friends for over 35 years, known for not just his previous coach business but also the buses he has preserved including Bedford OB, Bedford ML, Guernsey Open Top Tram, 2 Open Top Minibuses and 5 Replica London General Buses that he has operated at events across the Midlands for around 33 years and three of these are still working today. 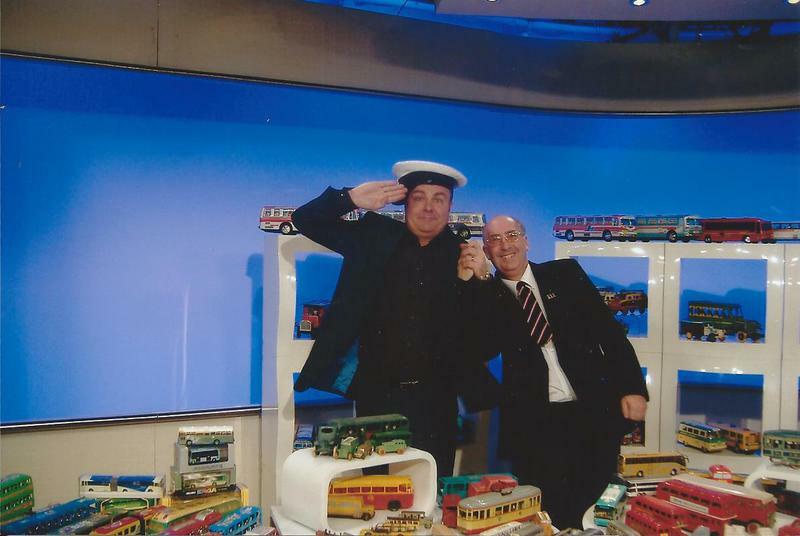 Geoff appreciates the enormous help and assistance Bill has given over the years in searching models but also transporting, restoring and garages some of the miniature coaches in his collection. 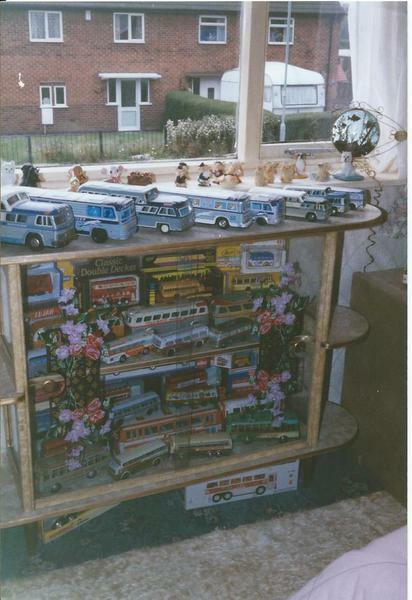 Bill also has a number of model buses and miniature coaches of his own. 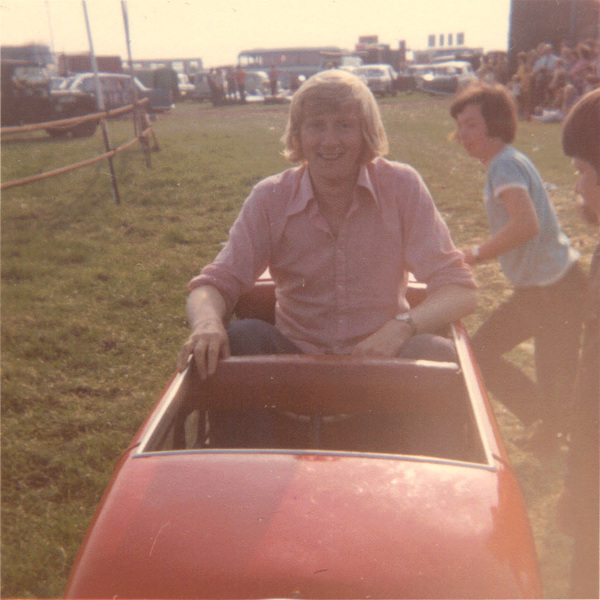 You will see from updates elsewhere on this website that unfortunately Bill Whittaker passed away on the 23rd November 2018 and we have done a tribute to him. 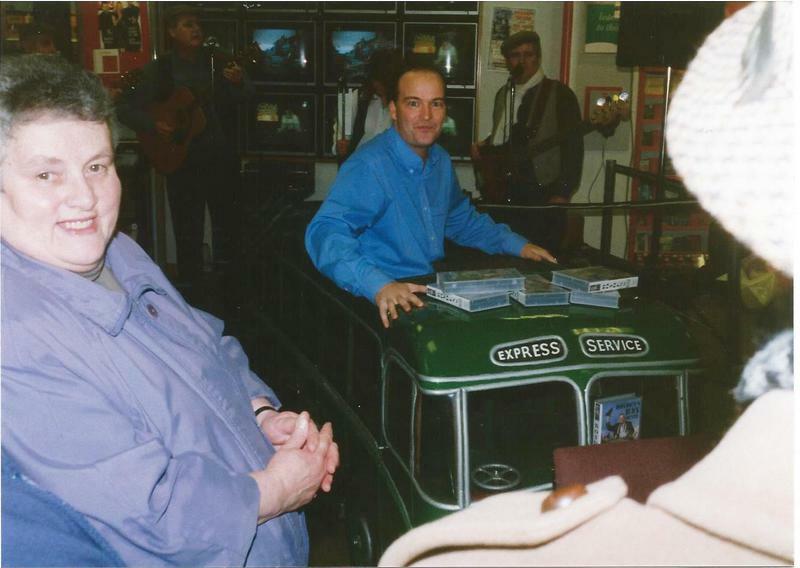 We are sure many of his vehicles and models will remain in peoples collections for many years to come.